A growing movement of young people is rebelling against the low expectations of today's culture by choosing to "do hard things" for the glory of God. And Alex and Brett Harris are leading the charge. 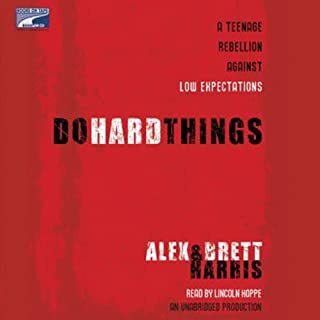 Do Hard Things is the Harris twins' revolutionary message in its purest and most compelling form, giving readers a tangible glimpse of what is possible for teens who actively resist cultural lies that limit their potential. Thank God for these Young Men! I bought this book to prepare myself for my sons' teenage years even though they are only 6 & 3. I found encouragement in it for myself as well. Pastor Kyle Idleman doesn't just want to be a fan of Jesus, he wants to full heartedly commit to him and be a follower of Jesus. But how can you make the leap from fan to follower? 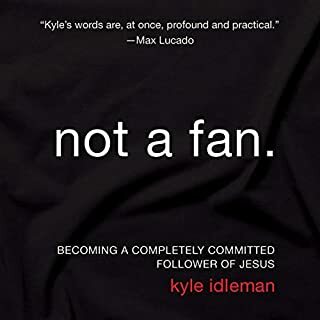 In Not a Fan Idleman uses biblical examples to show how the people who met Jesus also had to decide if they were fans or followers, and what it meant for them to then become followers. I believe everyone should read this book over & over. I know I'm going to.